Jurgen Klopp is aware Liverpool must remain alert after moving to the top of Group C, believing a Champions League pool containing Paris Saint-Germain and Napoli will go to the wire. The Reds thrashed Red Star Belgrade 4-0 to take top spot as PSG and Napoli drew 2-2 in France, with Angel Di Maria’s late goal nudging Napoli off the summit. 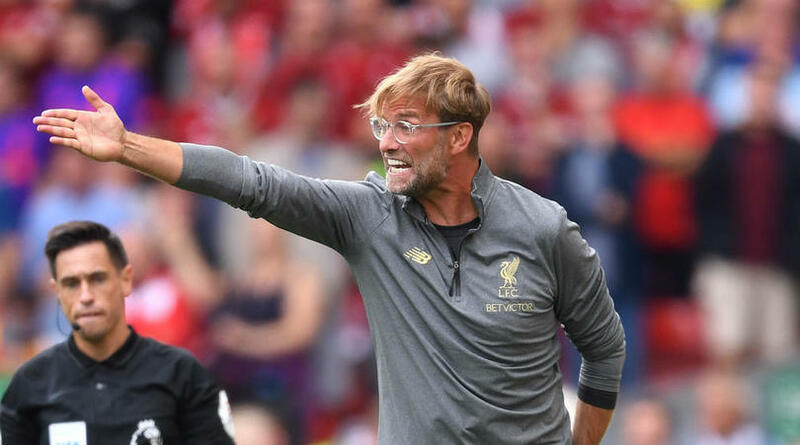 But Klopp roared with laughter when asked if there was still work to do to ensure qualification, the Liverpool boss looking no further ahead than a trip to Serbia in a fortnight’s time. ‘I don’t even know who is second, but I heard they played 2-2 with the equaliser pretty late,’ he told BT Sport. ‘I can imagine it was pretty lively [in Paris]. Mohamed Salah scored twice at Anfield – including his 50th goal for the club – but Klopp picked out Xherdan Shaqiri, who had a hand in two strikes, for special praise after a superb display. Again laughing as Shaqiri’s name was put to him, Klopp said: ‘Shaq? It’s like he’s involved in pretty much everything. He’s so decisive. ‘Around the first goal, he won the ball back in the counter-press and played a fantastic ball to Robbo [Andrew Robertson]. For the second goal, I don’t know how he touched that ball for Mo but it was Shaq. ‘He’s just a really nice footballer. That helps. In these games, he has a lot of work to do in these situations.